I always loved the Joyride statue. 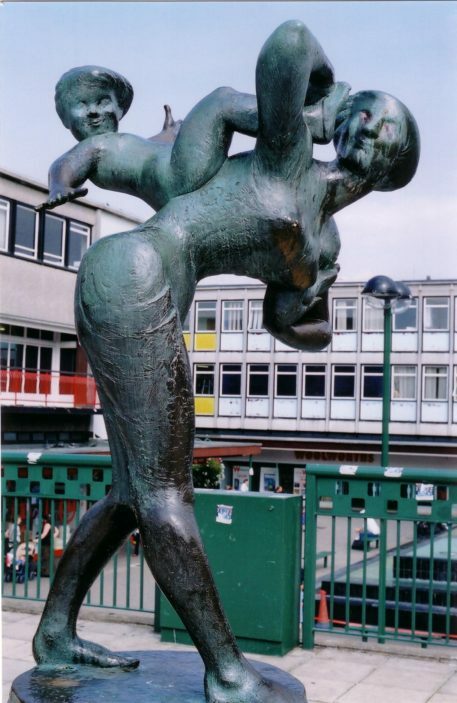 It was so much a depiction of the young families of Stevenage, the average age being 35 years. Later, there was another statue depicting mother, father and child, but it wasn’t attractive and people disliked it so it was removed. I liked the pretty bronze of a little girl and birds, at the duck pond, too. This and the Joyride have survived any “improvements”.